When do you have your best idea moments? In the middle of the night? In the shower? While driving to work? Most every famous “Aha!” moment has occurred when it was least expected. Bill Gates had a huge Aha! moment when he realized he would have to sell his product before he could even make it with software and hardware pre-sales are commonplace now days. Go Pro founder, Nick Woodman, found his inspiration for his Go Pro cameras when a sturdier set up was needed for when he wanted to take pictures of himself surfing. 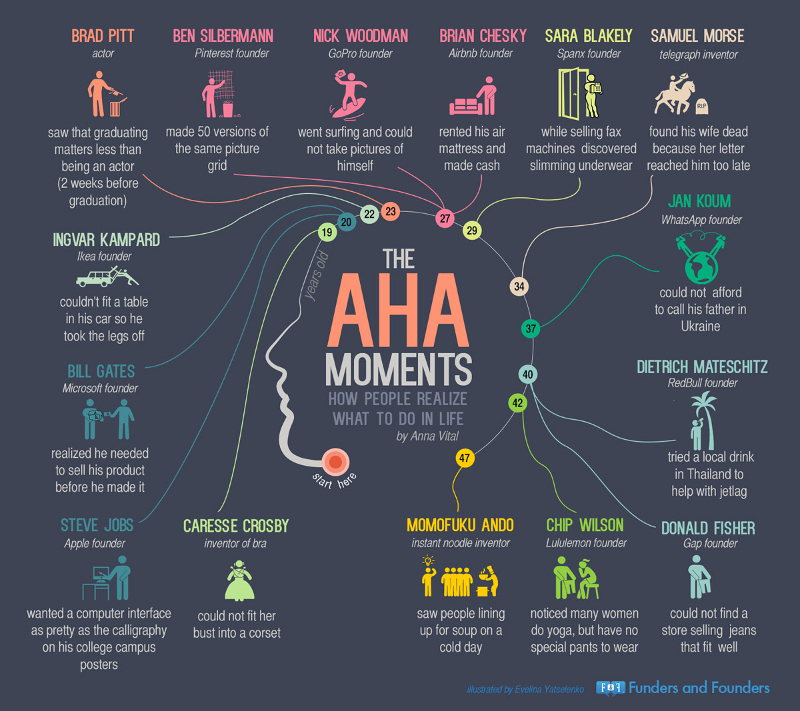 Check out this very cool infographic to see how other great inventors, famous founders, and very successful people found their inspiration and came up with their “Aha!” moments and ideas that they’d go down for in history for!